There are certain circumstances in our lives that the way out can be obtained only through a breakthrough. A divine momentum that will produce a supernatural leap, which is impossible to achieve in ordinary situation. This momentum can be a scarce chance that given by God. But unfortunately sometimes we fail to recognize and take that chance. If we ponder deeper, the failure is mainly because of ourselves. Either because we don’t know, don’t want to do it, fear, worry, hesitate, and so forth. Eventually we lose the momentum that we don’t know when it will come again, or even never come again. That was what the Israelites experienced. They failed to enter the Promised Land at the first opportunity because they rebel against God. As a result, they have to wander in the desert for 40 years. God brought the Israelites out of Egypt with miraculous signs. After passing through several stops, three months later they arrived at Mount Sinai (Exodus 19:1) and camped at there for about 13 months. In Sinai God gave the Ten Commandments and various rules about the ordinances of worship and daily life. Then the Lord commanded to count the number of all the men from 20 years old and above who are able to go to war. In fact, God was preparing them to enter Canaan, the Promised Land. Because of remorse and fear of God’s punishment, the people finally attacked Canaan. But because of God was not with them, they were easily defeated until they scattered by the enemy (Numbers 14:39-45). That was the failure of the Israelites to enter the Promised Land at the first chance. But God keeps His promise, though to get the SECOND CHANCE they have to wait for 40 years! After 40 years of circling in the desert, the Israelites finally arrived for the second time in Kadesh. They are a generation that was under 20 years old on the first occasion that happened in the past decades. Now, they will enter the Promised Land with their children, while their parents have perished in the wilderness. From those who eventually die in the wilderness we learn that THERE ARE DIVINE MOMENTUM WILL NOT COME TWICE IN THIS LIFE. Therefore if God commands something for us to do, let’s immediately obey and believe it even though it seems impossible. Because if we reject it, we may miss it forever. 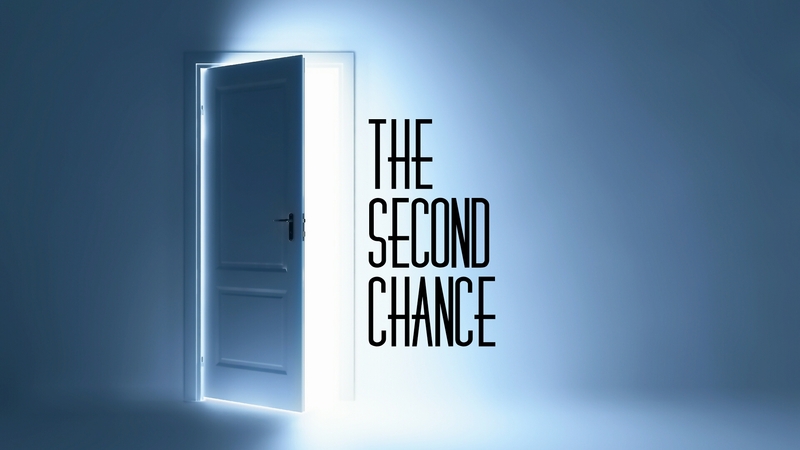 Then, how should we behave when God grants us a second chance? Let’s learn from the preaching of Moses to the generation that will enter Canaan in DEUTERONOMY 9: 1-6. The Anakites are the ones who on the first chance ago have terrified the Israelites. The Israelites also have a history of losing the battle against them. The Anakites are a scourge and a bad memory for Israel, so among them there is a thought: “WHO CAN STAND UP AGAINST THE ANAKITES?” The meaning behind that statement is “No one can stand up against the Anakites.” The fact that the enemies of Israel are the people who greater and taller than them, with the cities are large with the wall upto the sky, made the Israelites see an impossibility to win. But … to enter the Promised Land, God commanded the Israelites to fight against them. This means they must RESOLVE THE TRAUMA AND DARE TO FACE ALL THE IMPOSSIBILITY IN THE FUTURE. Trauma can be a hindrance to enjoying the noble things God has provided for us in the future because trauma binds our hearts to the past. Trauma makes it hard to believe that with God we can overcome challenges greater than us. Therefore we must solve it. If there is past event that when we remember that our hearts become injured again, depressed by excessive regrets, , and always afraid and worry if it happens again. That’s the trauma. There is only one way, come to Jesus who is able to set us free. Forgive if anyone should be forgiven, including forgiving ourselves. Do not let failure be a burden that hinders our steps toward the future, but make it a valuable lesson. God does not want us to escape reality. God wants us to be HEALED AND RESTORED. Past mistakes or failures can not be changed, but God is able to change our future. It begins with our decision today to come to Jesus and lay the burdens of our hearts upon Him: “Come to me, all you who are weary and burdened, and I will give you rest.” (Matthew 11:28) The time we are free from the trauma, there is nothing that stifles our steps to walk with God and through all our future impossibilities with Him. The Lord reveals Himself to His people as THE ONE WHO GOES ACROSS AHEAD OF YOU LIKE A DEVOURING FIRE. GOES ACROSS AHEAD OF HIS PEOPLE: This shows that He is the God who gives direction and leads us to the goal. A guarantee that our journey will surely succeed whatever happens. GOD LIKE A DEVOURING FIRE: It states that He is a jealous God: “For the Lord your God is a consuming fire, A JEALOUS GOD.” (deuteronomy 4:24) As a jealous God, He accompanies and protects us as His own. On the other hand, He wants to be the only God in our lives. Therefore don’t turn to other gods. Be faithful and follow His lead, then the Lord will lead us to His triumphal path. The Israelites won over their enemies not because Israel was great in war, but because of the wickedness of the enemies themselves. Therefore there is a warning from God: “Don’t say to ourselves that all because of our righteousness and our integrity”. Boast ourselves, though only in the heart, is tantamount to arrogant which also means stealing the glory of God. And why does the statement “It is not because of your righteousness or your integrity” is written more than once in this passage? Because human tendency is pride of himself and feel that every achievement because of their effort and hard work. Even we as children of God can also feel all the blessing we receive is because we are living righteously, already diligently serving, praying, fasting, reading the word of God, and doing other righteous things. That isn’t pleasing God’s heart. That’s why from now on if our life is successful, don’t connect that success with all the good and right things we have done, because it can make us become arrogant. There is always a restoration in repentance and reconciliation with God. Jacob, Samson, Jonah, Peter, Paul, are some examples of people who had a second chance after their repentance. More than that, every chance comes only from God. We can not force Him. He will give it according to His wisdom and omniscience about our lifetime. But as long as our heart is still beating, let’s hope for the second chance. And if the second chance is no more, at least we have cleared our hearts before God, healed and restored, so that we can freely worship Him and doing our best of every part God entrusts to us in the rest of the time we still have. Let’s learn from Moses’ life about this. Moses had made a fatal mistake for hitting a rock in Meribah in Numbers 20: 2-13 which caused Moses and Aaron not allowed by God to enter Canaan. Moses prayed for grace to be allowed to enter and see Canaan, but God did not grant it. “…But because of you the Lord was angry with me and would not listen to me. “That is enough,” the Lord said. “Do not speak to me anymore about this matter…” (Deuteronomy 3:23-26) How’s Moses’ reaction?? He was not disappointed with God. He continued to serve the Lord and did his work thoroughly to the end. In Hebrews 3: 1-6 it is said “Moses was faithful as a servant in all God’s house,…” May this article strengthen us to do our best in every chance that God gives us, for God will count every one of our deeds. God bless you, amen. This entry was posted on February 26, 2018, in Christianity, Thought and tagged Anakim, Anakites, Believe, Caleb, Canaan, chance, Christ, christianity, faithful, faithfulness, forgiveness, God, grace, hope, Israel, Israelites, Jesus, Joshua, Kadesh, Life, Lord, momentum, moses, obey, plan, second chance, supernatural chance, The promise land.